It is fair to say that this is a good action movie. Though there was no depth with the narrative (just like most of the actions movies), I appreciate that the storyline is simple and spot on. Also, is it okay that I like Ezra Miller's Barry Allen more better than Grant Gustin's? Despite all its flaws, from the obvious reshoots to the uncanny valley of Henry Cavill's computer generated upper lip (courtesy of Cavill's contractual obligation to the Mission: Impossible 6 team to not shave his moustache), I enjoyed this bloody mess of a movie. Here we go again - just when it seemed the DCU had turned things around with Wonder Woman, they take another step back. 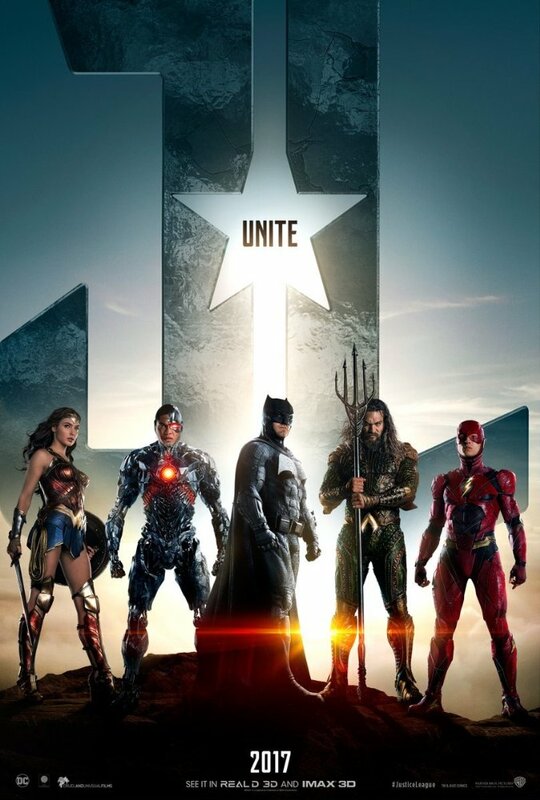 While Justice League isn't a gloomy mess like Batman v. Superman or a wild mess like Suicide Squad, it instead is just a kind of average outing - the villain is forgettable, many of the jokes fall flat and what is supposed to be this ultimate team to rival The Avengers instead feels like an unfocused mess. To be fair, you did, but some things are not enough. Well here we are again folks. Just when 'Wonder Women' got things back on tracks for DC, now it takes a huge step back. With the many re shoots which somehow made the movie much worst. It's not a disaster like 'Suicide Squad', but with each failure of DC films makes 'Man of Steel' look pretty good by each flop. Okay lets talk about the actual movie. The Justice League is finally here after a notoriously troubled production and the exit of its original director Zack Snyder under tragic circumstances. Avengers maestro Joss Whedon assumed the role at WB's behest and while his directorial experience doesn't tie all the loose ends together, Justice League remains an entertaining if unevenly assembled superhero movie. The plot picks up after Superman's death and the world is now at risk of another alien invasion. This time by the bloodthirsty tyrant Steppenwolf (a CGI Ciaran Hinds). Batman and Wonder Woman race to assemble a new team of superpowered humans (Flash, Cyborg, and Aquaman) to confront this otherworldly threat. Who else is waiting to watch this. Thinking to watch this very soon. Well, Joss Whedon has replaced Snyder and is putting the film through major reshoots, and I think that means the film will have a lighter tone, given Whedon's MCU past. And Danny Elfman is composing the score. Great. BVS came out great if you are a fan of the comics. But for the general audience (those who didn't follow the comics), it was a flop. Even if I didn't follow the comics myself, I actually enjoyed the movie. Although yeah, it might be best to rethink their formula so that people would have a positive reaction for this one. It has officially be debunked by Zack Snyderhttp://screenrant.com/jus tice-league-movie-runtime -snyder/Sitll it's not that much of a stretch considering how long Batman v Superman was... but I bet this is going to clock in around the 2 1/2 hour mark as well.